I’ve had hands ears-on experience with the Apple’s PowerBeats3 headphones, which were actually released a few months back. The PowerBeats3 was the first headphone set to be compatible with Apple’s new W1 chip. 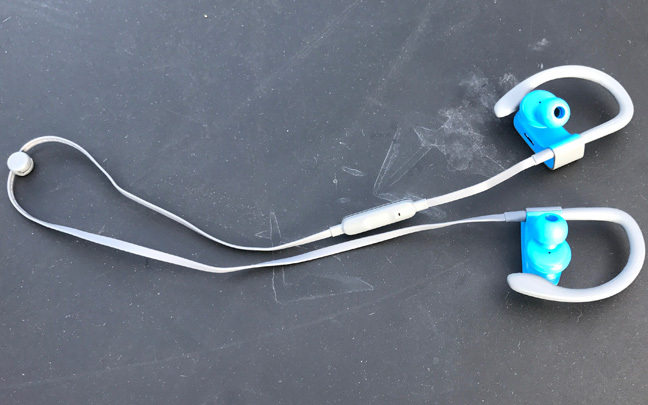 As soon as you turn the PowerBeats3 on, you get a screen indicator on your iPhone to make a connection. That’s all there is to it. These things are stylish. Beats headphones have never had a problem with their looks. The PowerBeats3, as expected, offer a lot of bass. Unlike the PowerBeats2, they also offer decent mid-ranges and very good highs on the sound spectrum. However, the buds that fit me the best had bass that slighly overwhelmed the highs and mid-ranges. The cord on the PowerBeats3 sometimes gets stuck on my neck. However, for the most part, the headphones are comfortable to wear. And because of the ear rings, you don’t have to worry about them falling out of your ears. The PowerBeats3 offer some sound isolation that will be enough for most. 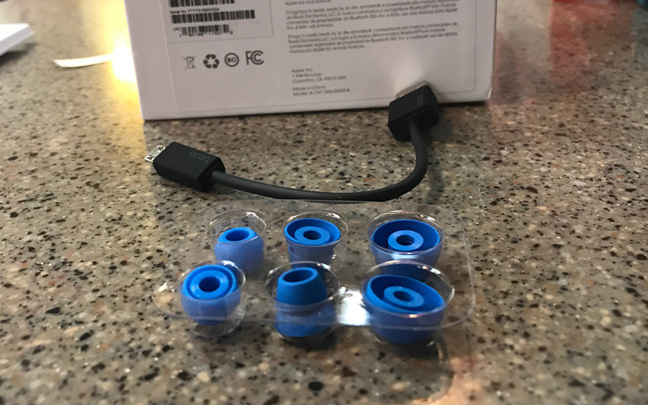 Those who thought the BeatsX sound isolation was too encompassing will appreciate these. Battery life is outstanding. The 12-hour battery life Apple claims on the marketing materials is absolutely correct. Best of all, the PowerBeats3 charge really fast. Phone quality is above average but not excellent. One person I talked to while walking outside said they could hear me, but not all the wind noise was cancelled out. The PowerBeats3 come with different sized earbuds so one can find the perfect fit. Why do these require a Micro-USB port for charging when they are an Apple product? (Apple purchased Beats in 2014.) This makes certain that iPhone owners will have to carry two different types of cables with them. The case that comes with these is perfect so you can put the PowerBeats3 in your pocket all of the time. However, they can comfortably be worn around your neck with the buds hanging under your shirt when you’re not wearing them. Beats has certainly improved their headphones over the past four years to offer a more balanced sound quality. The PowerBeats3 aren’t perfect, but the positives far outweigh the negatives. 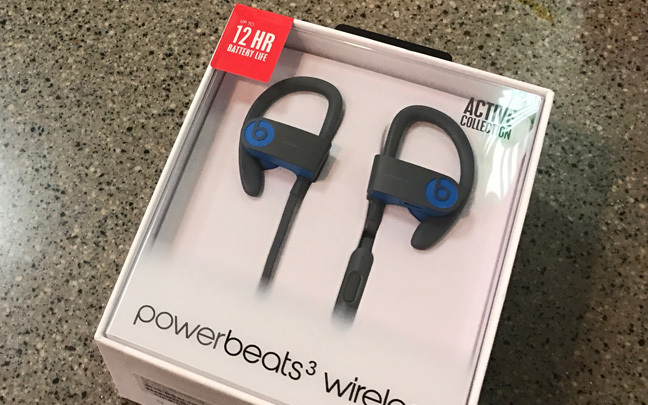 This entry was posted in Review and tagged Beats, PowerBeats3. Bookmark the permalink.